It’s no surprise that Kings of Leon can pull off live performances of rock'n'roll covers, but we didn’t know that the Tennessee-bred four-piece could slay pop anthems too. Coming off of the high of their successful seventh studio album, WALLS, the "Waste a Moment" creators blessed us with an unexpected rendition of Selena Gomez's 2015 hit, "Hands to Myself". 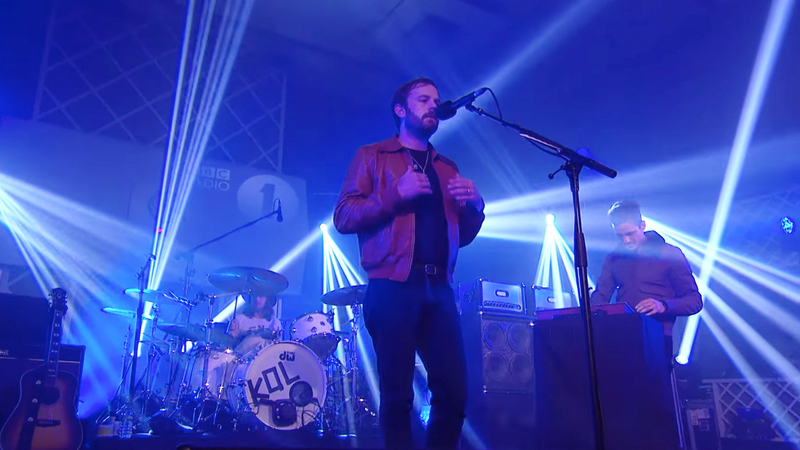 In a Live Lounge performance for UK radio station BBC Radio 1, the band tried their hand at the seductive banger, swapping the pop synths for guitar riffs. Let's just say that we were totally taken off guard with this rendition in the best way possible. Frontman Caleb Followill’s velvety smooth vocals brought new life to the track, while backing guitar and drum accompaniments from members Jared, Nathan, and Matthew added to the cover's overall chill factor. The result was nothing short of swoon-worthy, and felt reminiscent of the group's earlier hits like “Notion” and “Use Somebody”. The alt rockers are going on tour to support WALLS next year, so be sure to track them on Bandsintown to find out when they’ll be coming to a venue near you!